Geology Depression between morainic hills with calcareous tufa forming springs. This depression, once a small tarn with open water, has been infilled by calcareous soil probably of loessic wind blown silt origine. 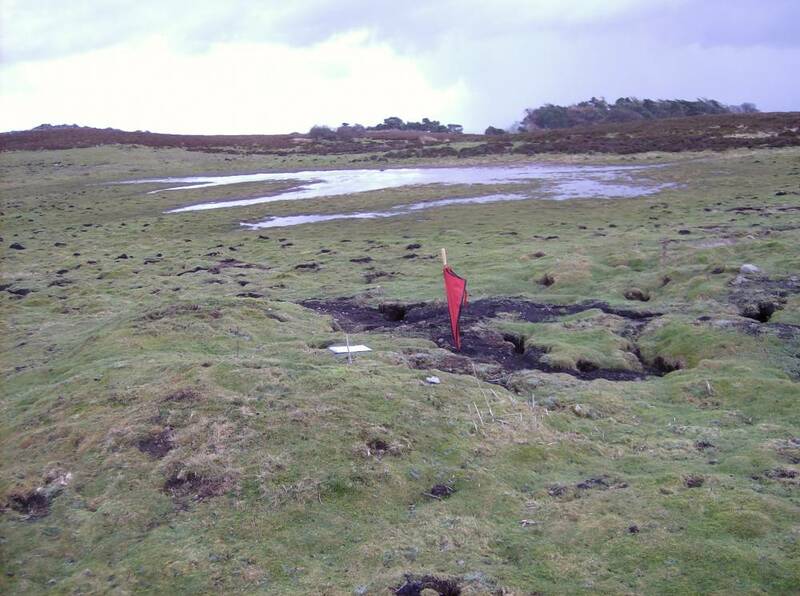 Mole activity on these areas of loessic soil is intense, in contrast to the surrounding acidic moorland where earthworms and moles are entirely absent. 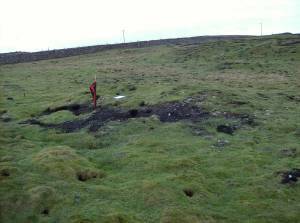 Record Name Bellerby Moor.Infilled tarn between morainic hills with tufa springsand burnt mounds. Record Description This depression, once a small tarn with open water, has been infilled by calcareous soil probably of loessic wind blown silt origine. 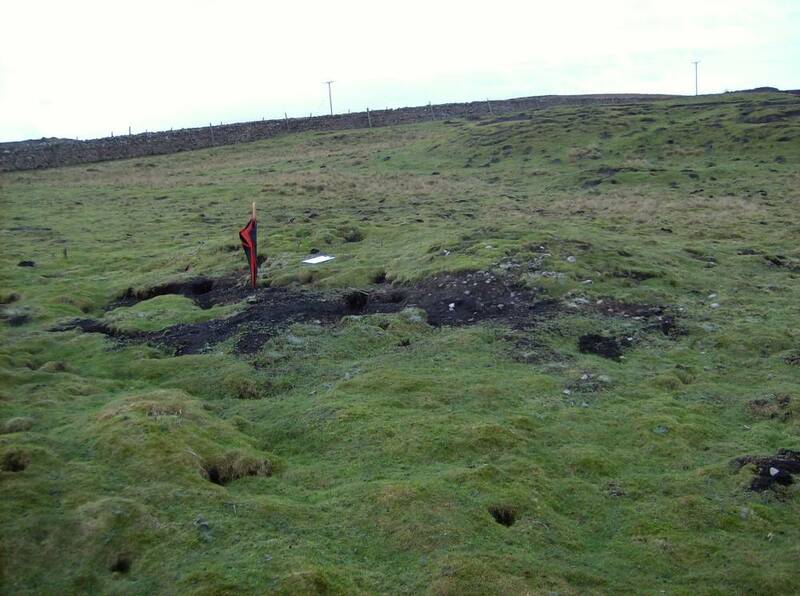 Mole activity on these areas of loessic soil is intense, in contrast to the surrounding acidic moorland where earthworms and moles are entirely absent. This tarn which is close to the western boundary of the Range and the road from Leyburn to Grinton is one of several similar depressions on and close to the footprint of the new Small Arms Range. 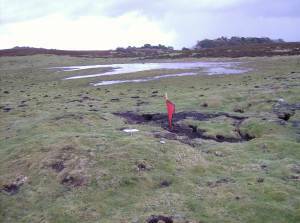 The presence of two burnt mounds, see photos, here indicate that the this infilled tarn, possibly open water, was attractive to human activity during later prehistory. Image 1 Description Infilled tarn at Bellerby Moor with standing water after heavy rain. Image 2 Description Burnt mound above infilled tarn, tufa springs nearby.